It's 1897. Gold has been discovered in the Yukon. New York is under the sway of Hearst and Pulitzer. And in a few months, an American battleship will explode in a Cuban harbor, plunging the U.S. into war. Spanning five years and half a dozen countries, this is the unforgettable story of that extraordinary moment: the turn of the twentieth century, as seen by one of the greatest storytellers of our time. 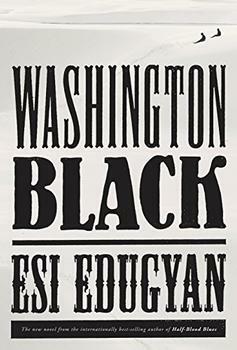 Shot through with a lyrical intensity and stunning detail that recall Doctorow and Deadwood both, A Moment in the Sun takes the whole era in its sights - from the white-racist coup in Wilmington, North Carolina to the bloody dawn of U.S. interventionism in the Philippines. Beginning with Hod Brackenridge searching for his fortune in the North, and hurtling forward on the voices of a breathtaking range of men and women: Royal Scott, an African American infantryman whose life outside the military has been destroyed; Diosdado Concepcíon, a Filipino insurgent fighting against his country's new colonizers; and more than a dozen others, Mark Twain and President McKinley's assassin among them. This is a story as big as its subject: history rediscovered through the lives of the people who made it happen. Hod is the first on deck to see smoke. "That must be it," he says, pointing ahead to where the mountains rise up and pinch together to close off the channel. "Dyea." I surrender. To explain in a few paragraphs a story that ranges from the frozen gold fields of the Yukon to the yellow fever swelter of Cuban hillsides, from the racial turmoil of post-Reconstruction North Carolina to the most humble, remote village in the Philippines, is a fool's errand. So let me dispense with any attempt at summary and cut straight to the chase - if an unrelenting commitment to showing action as it unfolds in vivid (and even painful) detail excites you, read John Sayles's new novel. (Reviewed by Micah Gell-Redman). Like all Sayles films and novels, it's drenched in a detailed, loving awareness of time and place. [A Moment in the Sun's] true importance lies not in its rearview relevance but in its commitment to recalling in heroic detail a little-known and contradictory historical moment, a sunny time of American pride but also of hubris in sun-beaten locales… Sayles is not a neutral channel, but in his respect for facts both documented and extrapolated, he is devoted to offering us a new understanding of the past. Pick up McSweeney's gorgeous mock-leather-and-gilt tome - taking care to lift with your knees - and you'll find that the 950-page book moves far more quickly than its bulk might suggest. Absolutely vivid... Sayles's creative strengths are on full display. Editor's Choice. John Sayles may be better known as a filmmaker (Lone Star, Eight Men Out, and my favorite, Return of the Secaucus 7) than as a novelist, but this drama spanning five years, and stretching from Cuba to the Philippines, proves him to be a great fiction writer. The conscience that infuses his earlier work is evident in this novel, and if you're looking for a summer reading challenge with a big payoff, this may be your book. Starred Review. Crackling with rare historical details, spiked with caustic humor, and fueled by incandescent wrath over racism, sexism, and serial injustice against working people, Sayles' hard-driving yet penetrating and compassionate saga explicates the 'fever dream' of commerce, the crimes of war, and the dream of redemption. If you only read one book this summer, make it A Moment in the Sun. In John Sayles's A Moment in the Sun, Hod Brackenridge's colorful past is marked most deeply by his participation in a working class uprising. A group of men, inspired by Populist rhetoric, hijack a train car in an attempt to bring their economic grievances to the nation's capital. 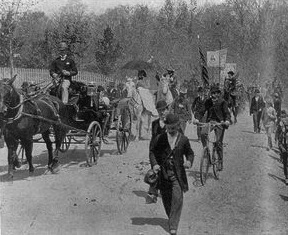 Turn-of-the-century America was fraught with class conflicts of this sort, some of which exploded in violent strikes and protests. In 1894, Jacob Coxey - a wealthy Ohio businessman - headed an "Industrial Army" of diverse men and women, who were dissatisfied with "the federal government's inaction in the face of economic crisis." From the critically acclaimed, bestselling author of Birdsong, new fiction about love and warfive transporting stories and five unforgettable lives, linked across centuries.